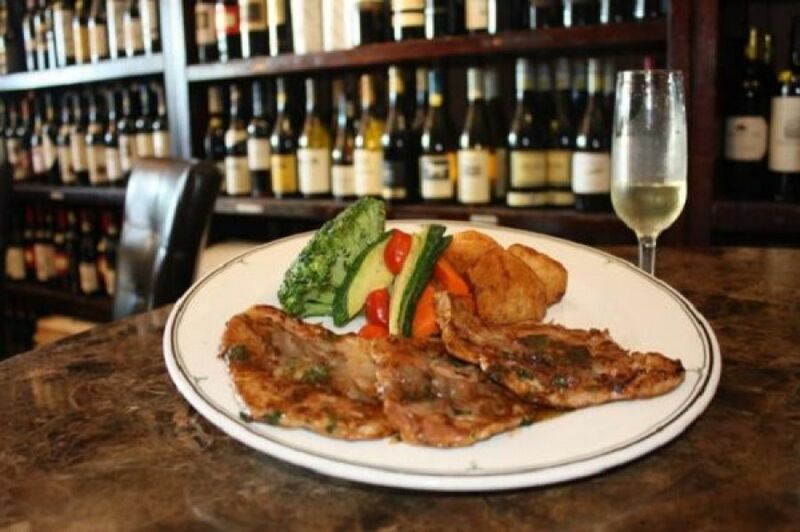 Layer pieces of veal scaloppine with fresh sage leaves. Next layer thinly sliced proscuitto over veal and sage. Dredge the layered meat in flour on both sides. Heat pan and add olive oil. Add shallots to pan and saute for 1 to 2 minutes. Add veal to pan over shallots and brown on one side, about 3 to 4 minutes. Turn veal and brown other side. Add marsala to pan over the veal. Pour demi-glace over veal. Turn veal again. Add butter to pan and sprinkle with parsley. After the butter melts remove veal and plate. Serve with roasted seasonal vegetables.